Russian President Vladimir Putin and Japanese Prime Minister Shinzo Abe held talks in the framework of the Eastern Economic Forum in Vladivostok. The meeting precedes the Russian president’s upcoming visit to Japan, where the Japanese prime minister is preparing to meet Russia’s president in the “hereditary” Yamaguchi Prefecture from where he has continually been elected a member of parliament. Speaking at the forum, the Japanese prime minister urged Russia and Japan to seek compromise to solve the South Kuril Islands issue and conclude a peace agreement as soon as possible. On the eve of the meeting with the Japanese leader, Vladimir Putin spoke on cooperation with Japan and negotiations on the status of the South Kuril Islands (Iturup, Shikotan, Kunashir and Habomai group of islands). The president of Russia noted the need for signing a peace treaty with Japan. According to Putin, the issue of “northern territories” so painful for the Japanese side must also be solved in a consistent manner so that none of the parties feel like a loser. The main factor that could render moving forward possible, according to the Russian president, is expanding Russo-Japanese cooperation. The president said that compromise will be reached once the level of mutual trust between Japan and Russia is comparable to that observed between Russia and China. Putin expressed the same point of view in his speech at the forum. On the same note, the Russian president hinted that the resolution of border disputes with China, when the latter received a number of territories formerly controlled by the Soviet Union and then Russia, had been possible because China acted as an independent and friendly power for Russia. The real problem facing the resolution of territorial disputes between Japan, in Russia’s view, is Japan’s strategic cooperation with the United States and its de facto occupation by the Americans which has lasted since Japan’s defeat in World War II. Under these conditions, the transfer of the Kuril Islands to Japan would de facto mean transferring them to the US, Russia’s main geopolitical rival. The Russian president referred to the Declaration of 1956 as a precedent which opened the way to a peace treaty. In 1956, the Soviet Union and Japan signed the Moscow Declaration that officially ended the war between the two countries. According to the document, the Soviet Union agreed to hand over the Shikotan and Habomai islands to Japan following a peace treaty’s conclusion. However, the contract was torpedoed by the US. They threatened not to return Okinawa to Japan and cease funding for the war-torn country if Japan compromise with Moscow. Tokyo thus eventually refused to sign a peace treaty. In 1960, after the Treaty on Mutual Cooperation and Security between the United States and Japan was signed, the Soviet Union officially refused to consider the question of territorial concessions to Japan, as this would have led to the expansion of territory used by the main geopolitical enemy of Soviet Russia, the USA. The Russian side has repeatedly stated its readiness to return to negotiations, starting precisely with this declaration. This in itself is a big concession to the Japanese. Moreover, the principle of “two islands first” in addition to nurturing economic and political relations between the two countries was put forth by Japanese diplomats themselves in the 1990’s. This was done by the so-called “Suzuki Group.” The basis of this group was the lower house deputy Muneo Suzuki and the senior foreign ministry official and expert on Russian foreign relations Masaru Sato. They recognized the need to develop closer relations with Russia. A new approach to territorial issues was worked out, but in 2001 Suzuki became too uncomfortable of a figure for the new leadership of the country, and was removed from power by means of a corruption scandal unleashed in 2002. Sato was arrested a few days before Suzuki on charges of abuse and misse of financial resources of the foreign ministry. Nevertheless, de facto, the group strategy and focus on multilateral cooperation between the two countries and the development of personal contact between the heads of states formed the basis for a new Japanese approach to problems with Russia. Over the past several years, Japan has expressed interest in closer ties with Russia. Joining anti-Russian sanctions under US pressure provoked a negative reaction by Japanese businesses interested in cooperating with Russia, including in the defense industry sphere. Prime Minister Shinzo Abe has repeatedly, unofficially expressed interest in meeting with the Russian president despite the negative position of the United States in this respect. Japan needs Russia from an economic point of view, especially as a transportation corridor to Europe that is alternative to the Chinese "Silk Road", as well as a military and political partner. Japan is concerned about the rising military and political power of China and its claim to supremacy in the Pacific. China has in particular put forward territorial claims against the Japan-controlled Senkaku Islands. From the Japanese point of view, the Chinese pretension to leadership in the region is dangerous and unfounded, and Japan is striving to resist such. Russia, as a state which is closely tied to China, can be viewed by the Japanese as a lever of pressure on the Celestial Empire. Russia may also act as an intermediary between the two countries if the need arises. Finally, the diversion of Russia’s resource potential from China to Japan reduces the potential power of China. Japan also needs Russia to balance its relations with the United States. On the one hand, the government of Shinzo Abe, made up of right-wing conservatives, has passed an agreement on a military alliance with the United States and has adopted a law on collective self-defense expanding military cooperation with the USA and opening the way for increased presence of American troops in Japan. However, on the other hand, under the pretext of "aid to The US”, the Japanese Self-Defense Forces have been empowered and are now turning into a real armed forces threatening imminent review of the 9th article of the pacifist Constitution of Japan. In fact, the expansion of cooperation with the Americans is necessary for the current Prime Minister and the Japanese conservatives to implement large-scale domestic reforms where the main goal is changing the Constitution developed by the American occupation administration. So far, the Japanese right-wing establishment includes the influential “Nippon Kaigi” organization, involves the majority of Shinzo Abe’s cabinet who remained committed to an alliance with the US. But reforms desired by Japanese conservatives in the long run could put the alliance into question. The Constitution is supposed to be less liberal to address concerns about the spread of liberal values by the American occupants. Before her appointment as defense minister, Tomomi Inada advocated the creation of Japan’s own nuclear forces which would no longer necessitate “protection” by the United States. “'If the German and Japanese navies cooperate with the Russian land army, then the ocean agreement would cease to be highly biased towards England, and would become an equal contract,’ - such was the position of the far-sighted Japanese, with whom I spoke on this subject, and they obviously held this position much earlier. " In light of this historical experience, Abe’s shift towards multi-vector policies and counterbalancing the alliance with the US by increasingly close relations with Russia is understandable. The establishment of a ministerial post for economic relations with Russia in his office needs to be understood in this light. While economic cooperation is not so large, some large-scale projects have been announced which are most important as a political signal that Japan should be closer to Russia. In geopolitical terms, Japan is the most coveted partner of Russia in the Far East. Despite its insular position, Japan is a classic continental power in terms of cultural values. This paradox was noticed by German geopoliticians in the first half of the 20th century. The leading German geopolitician Karl Haushofer even proposed the idea of a continental bloc along a “Berlin-Moscow-Tokyo” axis. Like China, Japan has serious economic and innovative potential which could contribute to the development of the Russian Far East. At the same time, it does not pose any danger to the sparsely populated border regions of Russia from a demographic point of view. After Japan's defeat in World War II the country was transformed into a power dependent on the US. US naval bases were spread on the country’s territories as part of the “Anaconda Belt,” i.e., the zone of American-Controlled states surrounding Russia from all sides. Japan’s escape from American control is thus a geopolitical priority for Russia in the Pacific. On the threshold of World War II, the German geopolitician Karl Haushofer on the threshold of World War II, even proposed the idea of ​​a continental bloc along the “Berlin-Moscow-Tokyo" axis. Haushofer correctly pointed out the British and Americans’ efforts to prevent the establishment of a Eurasian geopolitical alliance uniting Europe, Russia, and East Asia, as well as he noted the numerous attempts by the Germans, Russians, and Japanese to create such an alliance. In particular, he recalled the names of Count Witte, Japanese Prince Ito Hirobumi, who was several times prime minister of Japan in the late 19th and early 20th century, and Count Gotō Shinpei, a prominent Japanese statesman and diplomat of the early 20th century. A series of actions are now needed at both the level of state agencies and the public level of both countries to move this course forward. From Japan, Russia expects greater autonomy and the realization of economic projects which have been discussed for so long. 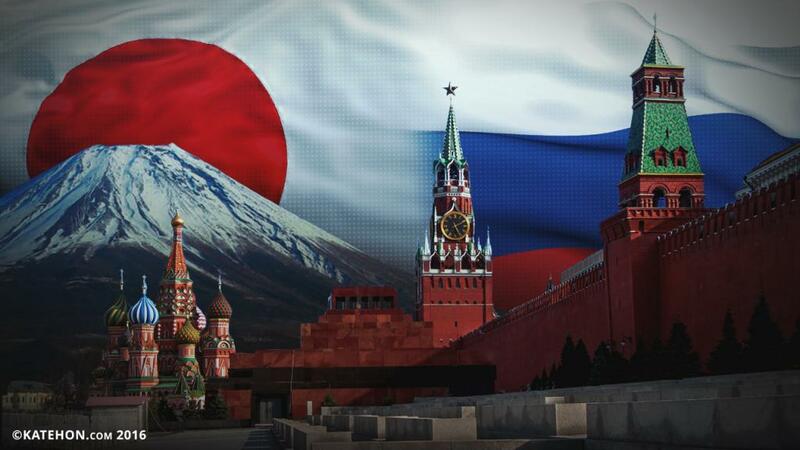 Japan expects more tact in relations from Russia and an understanding of the political situation within the country. The usage of Soviet jingoistic myths and cliches of “Japanese militarism” are not acceptable. The question of amending the Constitution and acquiring a normal armed forces is an internal matter of Japan’s. The sympathies of experts especially among the older generation of the Japanese left on protecting Article 9 of the Constitution are understandable, but this has little to do with the conservative orientation of today’s Russia. The 2016 elections to the upper house of the Japanese parliament following the adoption of a package of self-defense laws indicate only one thing: Abe’s course is supported by the majority of the population. Russia should be be able to understand Japanese conservatives and right-wing monarchists, including members of the influential Nippon Kaigi. And, of course, it should establish contact with them, as well as with the anti-American right-wing such as Issuy-Kai. Although this is a marginal group, it is quite strong and, under the conditions of global perturbations in the decline of US hegemony, the wave of history can raise enough of such forces up. It should also be understood that among the Japanese right-wing there are many people with views similar to the American neoconservatives, such as the current president of Nippon Kaige, Tadae Takubo. It is unimportant for Russia whether the Japanese love us or not. What is important is that they be freed from US tutelage.